First off … "Lien Stripping" can only be done under Chapter 13 Bankruptcy. The term “Lien Stripping” is used to describe the removal of a subordinate lien. A subordinate lien can be your 2nd mortgage, 3rd mortgage or even your Home Equity Line of Credit, (HELOC). With the proper evidence the Court will allow the lien to be stripped (avoided) from the property with the completion of your case. · Remove your 2nd mortgage, 3rd mortgage on your house & STILL KEEP YOUR HOME! · No more payments on your 2nd, 3rd or HELOC! This will lower your monthly expenses! · Can be behind in mortgage payments and still qualify! · No negotiating with the mortgage companies. This is all court ordered. IS YOUR HOUSE QUALIFIED TO LIEN STRIP? Certain criteria must be met in order to be considered for lien stripping. 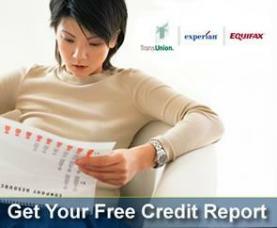 · Do you have a second or even a third mortgage or home equity line of credit on your home? · Is your home worth less than the balance of your first mortgage? · Is this your residence? If you answered yes to these questions … your home can qualify for a Lien Strip. Give us a call today so we can go over the details with you. There is never any charge for our first consultation. We want you to know all your options before you make any decisions.